As children of teachers, my brother, sister and I always had the summers available for travel and family time. We didn't always go too far from home, but we did always schedule the trip around something educational. Camping in state and national parks was always a hit. My brother was obsessed with Civil War battle grounds. I loved anything to do with Native Americans. I think my sister enjoyed visiting my grandma's house the most. What I remember most though would be considered the little things: singing classic rock songs in the car with my daddy and playing road trip games like "The Minister's Cat" with mama. Vacationing is a great subject to bring up with summer school students. 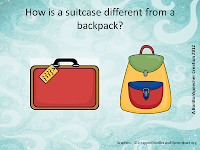 Even if the student has never actually been on a vacation, all children have a place in mind they would like to visit or see. 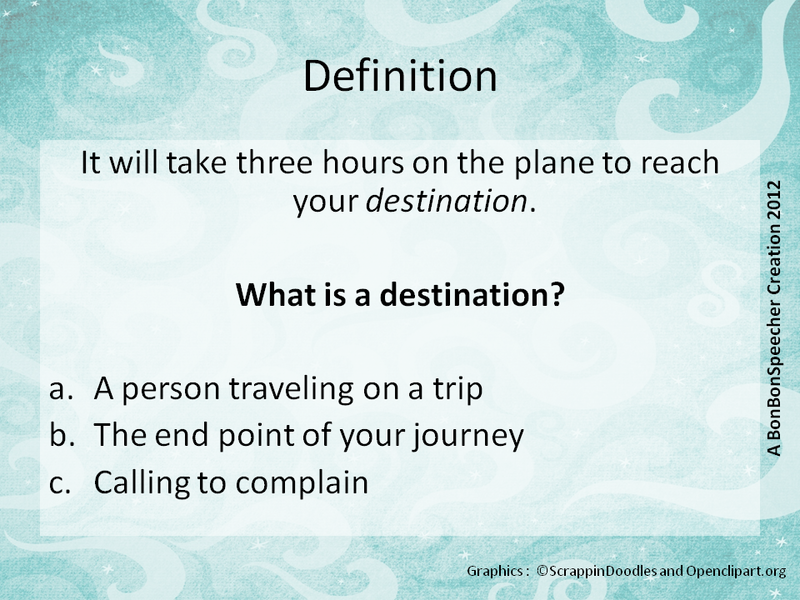 You can also discuss the new terminology of "stay-cation," where you stay at home and enjoy local sights and events. I created the "Vacation" book series as a way to introduce the vocabulary we associate with traveling. 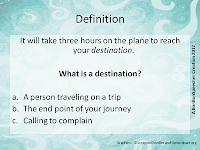 While it blends seamlessly with summer themes, you could also use this book with a transportation theme and discuss the differences between traveling by plane, train, bus, car or boat. Students are led through simple text with italicized vocabulary words. Questions, activities and role-playing scenarios assess students' understanding of new topics. You can print this product in three sizes: Full pages for a teacher copy, half pages for a center station, or quarter pages for a take home activity. A suggestion for the center station would be to laminate the pages and provide students with a dry erase marker or crayons to complete the activities. 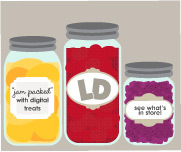 You can also display the full sized images on the SmartBoard or iPad. I'll be heading to Scotland in a few days to tackle Ben Nevis, the highest mountain in the British Isles. I'm really excited to visit Scotland and I hope I don't embarrass myself too much in front of the other hikers! 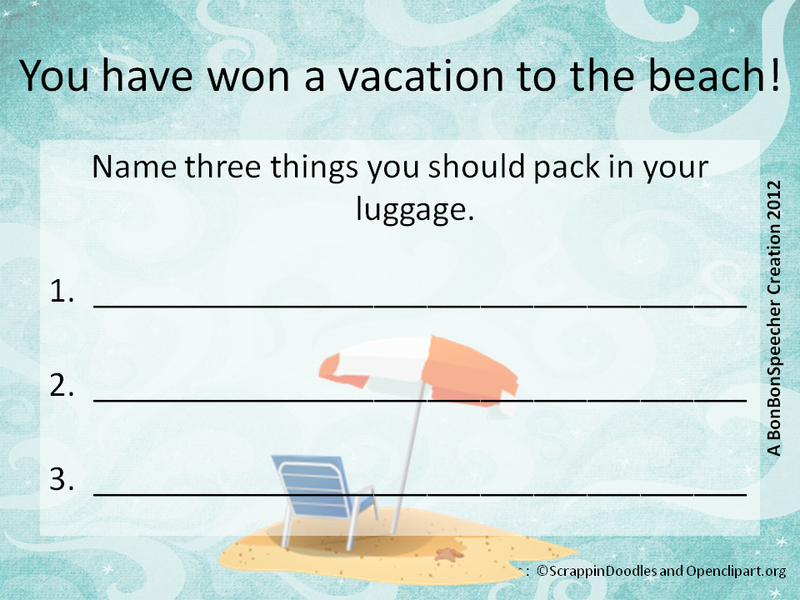 Where will you be going on vacation? Leave a comment and you could be the lucky winner of this BonBonSpeecher Store Product! 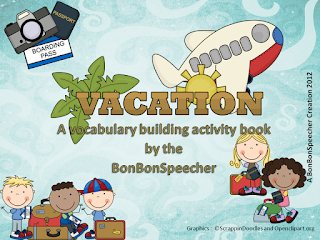 I hope you'll enjoy this vocabulary building activity book. I've made it half price this week! You can pick it up here at Teachers Pay Teachers or at Teacher's Notebook by clicking on the image below.